When I went to see The Breadwinner at the AMC River East a couple months ago, I was the only one in the theater; when I planned to write about it a few days later, the film had already left town. I’m glad to see that the Gene Siskel Film Center has brought it back for a weeklong engagement, so that more Chicagoans can catch up with this inventive and informative film. (That it was recently nominated for the Oscar for Best Animated Feature should help drum up attendance.) 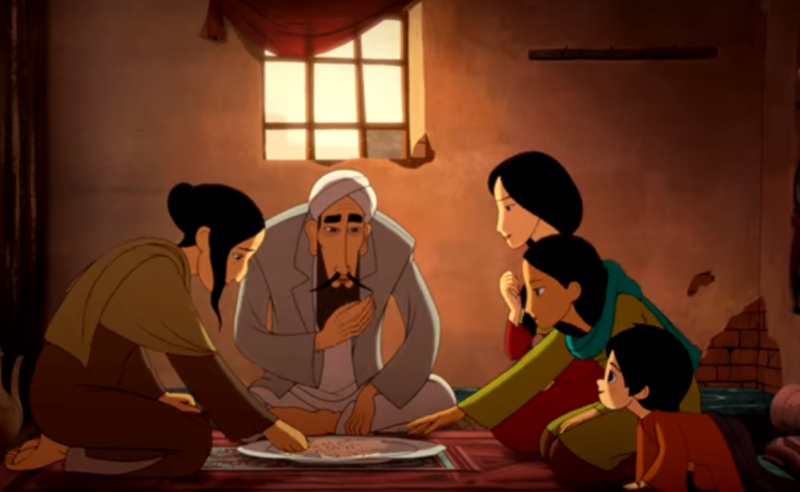 The Breadwinner delivers a rich lesson in modern Afghan history in a manner that should speak to older children—the heroine is an 11-year-old girl and the animation is fantastic—though adults will also appreciate the clever storytelling and political perspective. Moreover, it presents a sympathetic view of women living under an oppressive, misogynist regime, and this makes it worthwhile viewing for anyone. Based on a 2000 novel by Deborah Ellis (who also cowrote the script), The Breadwinner centers on a Kabul family during the period of the Taliban’s rule. The family is opposed to the government, and they try in small ways to work against it. The father has taught his daughters to read in secret (the Taliban has forbidden girls to go to school), and he maintains an atmosphere of openness within the home. Parvana, the younger of the family’s two daughters, displays an air of independence, with her headstrong manner and prodigious imagination. Emboldened by having learned to read, she also displays the talent of a born author; over the course of the film, she invents an elaborate fairy tale that she tells to the people in her life and which mirrors her real-life situation. 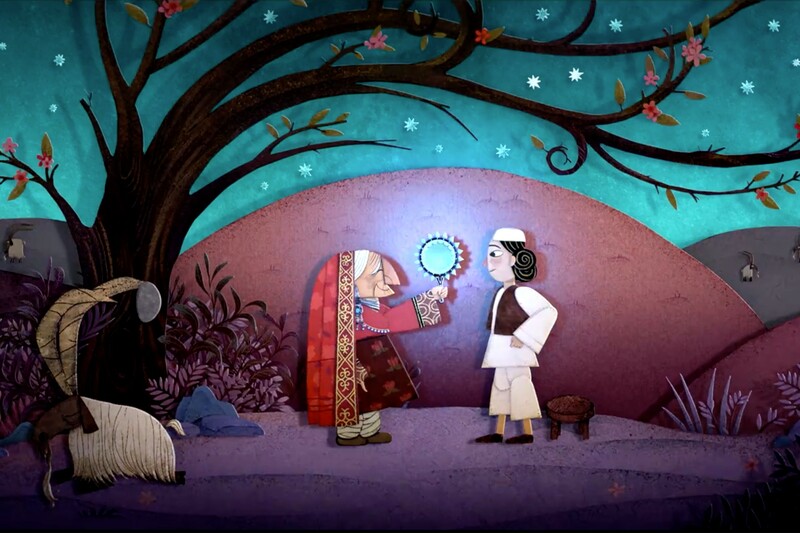 Director Nora Twomey presents scenes from Parvana’s story through cut-out animation that differs from the hand-drawn style of the rest of the film; this strategy provides the film with a pleasing visual variety and conveys the childlike nature of Parvana’s tale. Tragedy strikes early in the film when Parvana’s father gets arrested for having a foreign education. Thrown in jail, he is unable to provide for his wife, daughters, and infant son, and no one in the family can get a job in his place since the Taliban has banned women from leaving their homes unescorted by men. To save the family, Parvana decides to disguise herself as a boy so she can take up his father’s work as a peddler. She also carries on his work of reading and writing letters for the illiterate, and in doing so, she forms bonds with some of the men in her neighborhood. These bonds will provide an asset to Parvana later on: one of the men she reads to has connections at the local prison, and he agrees to arrange a meeting between the heroine and her father. In her resistance to an oppressive regime, Parvana recalls the young heroine of Haifaa Al Mansour’s Saudi Arabian feature Wadjda (2012). Her behavior also inspires good cheer in spite of the overarching sadness of the film. In fact The Breadwinner is often an uplifting experience in spite of its focus on political oppression—Parvana impresses one with her intrepidity and imagination, drawing attention to the efforts of women and girls to achieve some sense of independence in countries where independence is denied to them. After she begins working in her father’s stead, Parvana meets another girl who disguises herself as a boy in order to support her family; the camaraderie that forms between them is one of the most optimistic aspects of the film, showing what young women can achieve when they work together. At the same time, one is constantly aware of the danger these girls are in. The fear of discovery hangs over nearly all their public behavior, and they also have to contend with Taliban supporters, who are quick to act violently against both men and women. Children must grow up fast under such circumstances, and The Breadwinner derives its lasting sense of tragedy from its consideration of how they've been stripped of their childhood. There’s a sad undercurrent to Parvana’s fairy tale—it represents an attempt to salvage whatever’s left of her imagination and sense of play, in essence, her childhood, before she no longer has access to them. Marjane Satrapi's animated memoir of her Iranian childhood is begging for a wider audience.